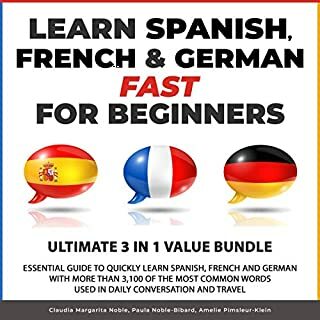 Even if you have never learned a new language or have tried learning Spanish, French, or German before and struggled, this easy-to-learn essential guide will help you learn the Spanish, French, and German vocabulary in no time with an effective technique that helps you remember and pronounce the words the right way. 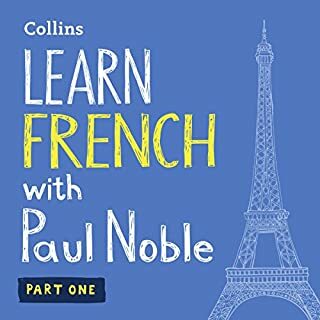 So if learning Spanish, French, or German languages is your goal for this year, buy this audiobook today to get started. This audio book is wonderful. 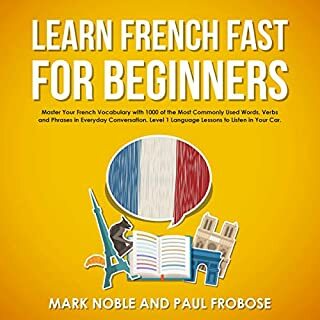 Learn French Fast for Beginners: Master Your French Vocabulary with 1,000 of the Most Commonly Used Words, Verbs and Phrases in Everyday Conversation. Level 1 Language Lessons to Listen in Your Car. The fun and engaging teaching method in this book will teach you the 1,000 most common French words spoken in public. 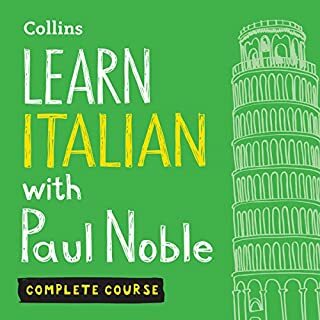 Learning the essentials of Italian couldn’t be easier! Learning the essentials of Spanish couldn’t be easier! Learning the essentials of Mandarin Chinese couldn’t be easier! Ideal for beginners who need to learn the basics quickly. We have compiled more than 100 French stories for beginners along with their translations, allowing new French speakers to have the necessary tools to begin studying how to set a meeting, rent a car, or tell a doctor they don’t feel well! 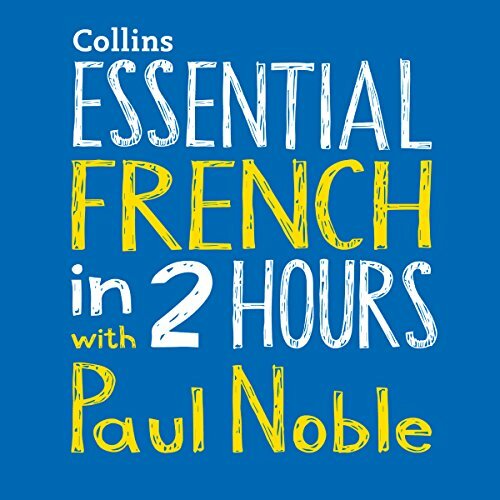 We’re not wasting time here with conversations that don’t go anywhere: If you want to know how to solve problems (while learning a ton of French along the way, obviously), this audiobook is for you! An exciting approach to learning Mandarin Chinese with the easy, relaxed appeal of an audio-only product. Over 15 hours of easy-listening. Ideal for beginners and those with little formal language learning experience. No books. No rote memorisation. No chance of failure. This download contains the entire course. Learning French couldn't be easier! This language course will have you speaking French in just 2.5 hours. 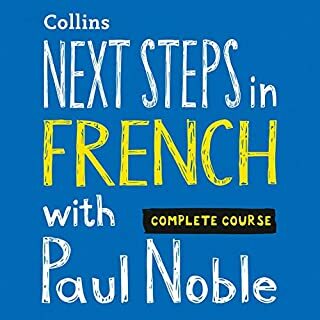 Use Paul Noble's relaxing method to learn the key language skills that you need to speak French with confidence. You will finally be able to say what you want to say - just sit back and listen! I found the course very easy to follow and soon started to feel confident. As with anything regular use of the audio book is needed. I would recommend this book especially to those who have very little or no French and are due to go to France on their hols. Also useful for those who lack confidence that their 'school' French is actually still there in their memory. However I went on to buy 'French' by Paul Noble volume 1 which seems of have much of this book in it. What about Paul Noble’s performance did you like? He has a calm and reassuring voice. His French speaking counterpart speaks slow French then again at a more 'normal' pace - useful for practising yourself. For me I found this book mostly 'reassuring'. I do actually remember my French from my schooldays and won't be making a fool of myself in France! As I have already said though Paul Noble's French volume 1 does contain a lot of this book's information - so worth thinking about before buying. Love this! Even I can learn,it’s so easy. Well worth the money just buy it. Basic language skills in French. Great help to understand French in a simple way. I will continue with the next book.